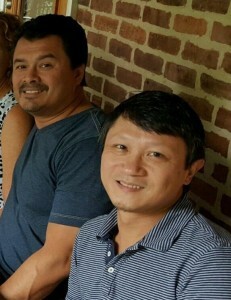 Since a young age, Leon Marriott and Robert Cheng had a love and passion for electronics. We ourselves were customers before we decided to run our own Audio/Video superstore. We pride ourselves on providing a better, more personal customer experience. After working with us you will join the rest of our customers who won't ever return to a big box store. At Mac Electronics we aren't trying to break the bank for our customers. Our goal is to provide you with great products at an unbeatable price. We think that is doing this you would not only be a return customer but would happily recommend us to friends and family to help us continue our growth. With over 20 years in the business we have the experience you are looking for when it comes to car and home electronics. Our technicians are certified and go through our own company training to ensure that we can provide our customers with the right equipment for their application.